It can be great fun to play with hand puppets – not just for children but for the adults too. There’s great amusement in developing the puppets’ unique characters and styles. The best thing about puppets is you don’t need to be an expert. 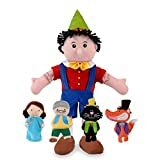 Puppets don’t even have to talk, all you need to do is get them moving and you and your child can develop so many stories and adventures with your new found friends. Your youngster will be drawn into a world of magic and imagination as they animate their new friend. They’ll learn from their make believe, cooperative, manipulative and social play values. Hand puppets are such a valuable play resource. They offer children so many opportunities developmentally as well as through learning and play. All of these puppets will offer children and adults many hours of fun and enjoyment. They allow children to improve their speech and language, improve visual skills and develop manual dexterity. They let your child develop their imagination by encouraging singing or story time with the puppet. Puppets also allow children an outlet for their feelings and worries. It seems easier if the puppet is telling mummy or daddy what is wrong with them than having to say it “face to face”. Most of all puppets allow your child to play with friends or grown ups, create an imaginary world and just have fun. Hand puppets are a must for any toy box. Hand puppets come in many varieties. 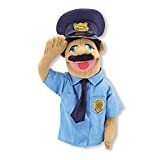 The one thing you must consider about these hand puppets for sale is that they are age related to the child you are thinking about. Hand puppets can be made from so many materials so you must ensure you select yours from a reputable supplier. Puppets that have not been approved can be quite harmful to children. I have seen eyes and noses fall off and the plush fur found on some can be quite easily pulled out. Nowadays there are so many checks a reputable toy has to pass that these incidents are very rare. It is woth paying that little bit extra and ensuring your child’s safety. Some of the more technical hand puppets are quite tricky to work and a child who has limited manual dexterity will become uninterested. The simpler hand, glove and sock puppets are the best for this age range. They can be used as soon as they are slipped over the hand – coming to life straightaway. 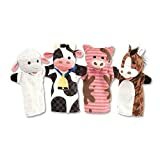 It is these hand puppets for sale which will give your child the opportunity to develop their fine manipulative skills as they work the mouth and move the puppet in different directions. 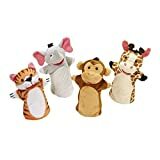 These puppets will also allow your child to develop their speech and language skills as your toddler experiments by using various voices and noises for the different characters they are creating. Most of all these hand puppets for sale will offer your child fun and enjoyment. The only limit on their play is their imagination. He is probably the most famous puppet in the world – Pinocchio. Carlo Collodi was the author who created Pinocchio in 1880. He wrote stories about this selfish and naughty marionette (a puppet on strings). It was Walt Disney who brought him to life in 1940 and created a wonderful story about a curious and naïve wooden puppet who has such a thirst for adventure and a shaky sense of what is right and wrong. Pinocchio is such a loveable character who has been enjoyed by many generations and will probably be enjoyed by many more to come. Today, hand puppets are probably one of the few toys that require hardly any assembly. They are a very simple toy but highly effective both in development and learning. Taken straight off the shelf and played with straight away. A hand puppet with a difference…. This wonderful puppet comes complete with a board book containing a delightful story and bright illustrations. Your child will love to act out the story using the puppet. My boys love these puppet books and have a glorious time performing all the actions from the story. We particularly like the way we can also use the puppet without the story and play with it as a puppet in its own right. The benefits that your child will gain from this toy are endless. It will encourage your youngster’s social skills as they interact with the book and the puppet as well as improve interaction with their peers and adults. This puppet book will also allow your child to develop their literacy, speech and language skills as the book is read to them and they can converse with the reader through the puppet. I really like this delightful and engaging hand puppet supported by a wonderful, captivating story. I know from my own experiences that it will become a favorite with your children. We have a box at home which I keep filled with a collage of bits and pieces – buttons, candy wrappers, labels, tubes, etc. We call it our “treasure box” as we can make so many treasures from it. One of my twin boys found a pair of Daddy’s socks recently (they were clean!!) and I showed them how to make a sock puppet by sticking on bits and pieces found in our treasure box. We stuck button eyes on them, made candy wrapper noses, woolly hair and left them on the window sill to dry. Once they were dry I showed them how to sing songs and read stories by interacting with each other. Now we can’t go anywhere without our sock puppets. They cost nothing to make and have given my boys hours of fun, not just from making them but also from playing with them. This little boy is the perfect size for small children. It features a working mouth and moveable arms. It is made from various fabrics. He is wearing clothes and has ”tie able” shoe laces. All of this will enhance your child’s play, offering a multi sensory experience. As the baby boy is already familiar to your child – being another person – this makes him all the more attractive to your child and will make them want to play with him. As this boy is wearing clothes and shoes and can be quite animated, he will help to develop your child’s fine manipulative skills and manual dexterity as they learn how to move the puppet and dress and undress him. The size of this puppet allows it to be used as a doll and this will open up even more opportunities to play. This is a great toy that will offer your toddler lots of new adventures. These are two little characters that will already be familiar to some children as “Itsy Bitsy Spider” is a favorite song amongst this age group. The pack includes a plush spider and a felt sunshine. They are very brightly colored and will offer your child a multi sensory experience as they are both made up of a variety of materials. The puppets can be used together or on their own and can be used to support other songs or stories that include spiders or the sunshine. These puppets offer so many values through play and will increase your child’s self esteem and confidence as they act out stories or songs. These puppets will also encourage the development of social skills as they create new ideas for play with peers and adults. Overall this set will develop your child’s imagination and encourage make believe play either with others or from playing on their own. 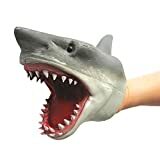 An alternative to Hand Puppets for sale ? 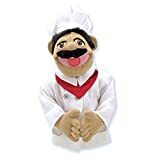 You’ll find some interesting alternatives to Hand Puppets for sale in our review of Sesame Street Puppets or you may select another toy category from the sidebar. Release your kids’ creative flair with this great table. This toy features a large surface, a play doh extruder that makes five different shapes, four crayons, eight tubs of play doh and some paper. Wow! Your toddler will love to sit at the table and make anything their heart desires – from rockets and cars to cats and dogs. They could even make their own hand or finger puppet. This toy offers so many values from different play experiences, such as the development of their imagination during make believe play and the development of their fine motor skills during manipulative play. This table will also increase your youngster’s self esteem and confidence as they work out how to use the various gadgets and examine what they do. Play doh in its own right has been known to immediately calm children and help them to relax, which will increase your child’s concentration and their ability to listen. This toy offers so much and would give your child many hours of fun and enjoyment. Prices are accurate as of April 25, 2019 11:10 am. Product prices and available are subject to change. Any price and availablility information displayed on Amazon.com at the time of purchase will apply to the purchase of any products.